Nexe, a major Croatian industrial group based in Našice, recently commissioned TECNOFILIERE to supply two pressure heads for extruder equipped with an external braking system and a series of special TFE model extruder dies for use in the Serbian IGM “Strazilovo” facility. The new supply contract is part of a longstanding relationship between TECNOFILIERE and the Croatian group. Guatemalan multinational Maceramik commissioned Tecnofiliere to supply the extrusion plants. 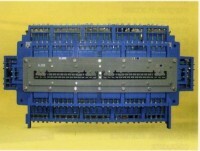 In recent years, TECNOFILIERE has established a leading role in the field of extrusion techniques. 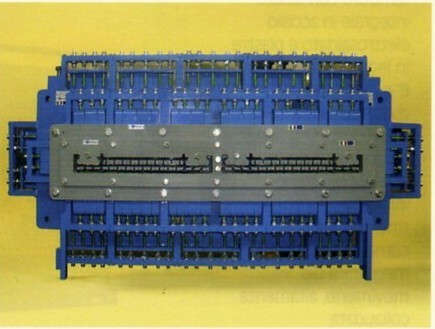 The dies and spare parts, particularly the core holders, cores and frames, make extensive use of special new sintered steel, materials capable of withstanding high levels of abrasion. Lafarge Couverture, the French division of Lafarge Roofing, recently opened a large modern plant for the production of pressed clay roof tiles in the Massia area to the south-east of Limoux, a small city in the Aude department some twenty kilometres from the departmental capital Carcassonne. For the extrusion process, once again turned to TECNOFILIERE, which supplied all the extrusion equipment for both standard products and specials. For standards roof tiles, the pre-formed bats are extruded using dual-exit extruder dies – horizontal for Tuile Canal tiles and vertical for Grand Moule Fort Galbe tiles – equipped with a sophisticated internal and external adjustment system that allows for detailed control of the movement of the clay columns and the sizing of the bat profile. 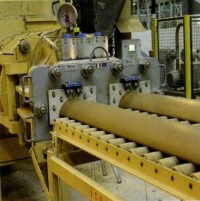 As a part of radical overhaul of its plants with a view to increasing production capacity, optimizing energy consumption and improving product quality, Fornaci del Sile, a longstanding Italian manufacturer of floor blocks based in Musestre di Roncade (province of Treviso), has adopted wide-exit extrusion technology. 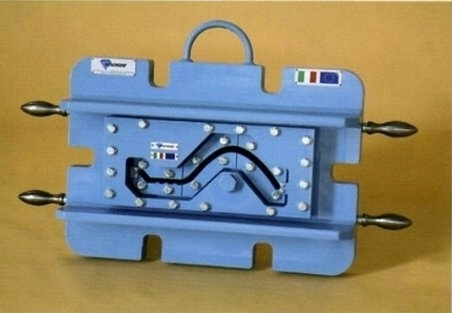 Following a detailed analysis of the potential suppliers, the company chose TECNOFILIERE, which rapidly identified the most suitable solutions for the type of clay used and started up an innovative device for wide-exit extrusion of floor blocks. The brick and tile industry has made considerable progress in terms of product innovation in recent years. Producers have developed materials that have radically changed the concept of certain types of clay products and in many cases have revolutionized installation techniques. Correctly extruding a clay block of dimensions 500x60 mm with highly irregular geometry and with very small cavities was a considerable challenge that required great determination on the part of the manufacturer, Fornace Torricella and experience from TECNOFILIERE, which built and supplied the extruder pressure head, the die and, recently, the new double-exit die. La Sagra, an area of the autonomous region of Castilla-La Mancha south of Madrid, is a sparsely vegetated area of gently undulating terrain made up of tertiary sediments. This geological characteristic has made the area ideal for brick manufacture since time immemorial. Illescas, located at the northernmost tip of La Sagra, is home to Ceràmicas Mora, one of the emerging players amongst the high-quality Spanish heavy clay manufacturers. 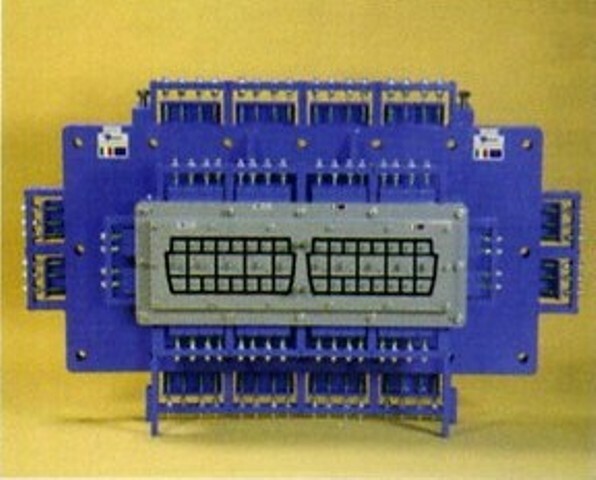 A significant contribution to optimizing the extrusion of new materials was made by TECNOFILIERE, the Italian company based in Novi di Modena that Ceràmicas Mora chose as the supplier of the extruders for the new plant on the strength of the excellent results achieved with previous supplied equipment. 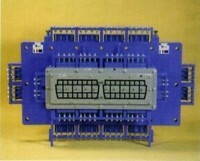 Pictured: Extruder die for vertical double-exit extrusion of ventilated façade elements.